The Food and Drug Administration (FDA) has made it easier for parents and health care professionals to find information on pediatric medications. The FDA created a database that covers medical products studied in children under recent pediatric legislation. The C4 is a one-stop resource. You can search for information by the product’s commercial or chemical name, or by the condition for which it was studied. 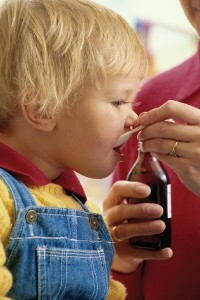 FDA’s Office of Pediatric Therapeutics (OPT), which focuses on safety, scientific, and ethical issues that arise in pediatric clinical trials or after products are approved for use in children, developed the tool in collaboration with another branch of the agency, the Center for Drug Evaluation and Research. OPT also maintains a Safety Reporting page5 with information on products that have been tied to safety problems that specifically relate to children. This page lists products that have been the subject of an adverse event report presented to FDA’s Pediatric Advisory Committee, a group of outside experts that advises the agency on pediatric treatments, research and labeling. (An adverse event is any undesirable experience associated with a medical product.) The committee’s recommendation is also given if further actions were necessary to ensure safe use of the product in children. Congress’ efforts to increase the number of studies of prescription drugs used in children have allowed FDA to build a foundation for pediatric research and discover new things. For example, researchers have found that certain drugs produce more side effects for the nervous system in children than adults, says Dianne Murphy, M.D., OPT’s director. 339 drugs for which the approved use has been expanded to cover a new age group based on studies. The easiest way for parents to use the database is to search by their child’s condition to find all mentions of that condition in all of the labeling information within the database. If you know the name of the drug you want to find, sort the database’s information by trade name. Avant says parents should note that the database contains the version of the label at the time of the labeling change. It may not be updated with later changes if they don’t affect children. OPT has also evaluated the amount of progress in the inclusion of pediatric information in drug labeling and has published a research letter in the Journal of the American Medical Association67on May 9, 2012. They found that in 2009, more than 60% percent of the drugs used for both adults and children that were in the Physician’s Desk Reference—a drug information resource for physicians and other health professionals—had specific information on pediatric use, compared to only 22 percent in 1975. Critical information in the pediatric section of the labeling tells you if the product was studied in children but could not be shown to work. When a product has been studied in adults and cannot be shown to be effective, that information is not put in the label. However, Congress told FDA to put this information in labeling when a product had been studied in children and was not effective.